The Ghost is an absolute beast and a great example of modern world engineering. The car keeps things as simple as possible. Cashmere carpets and treated leather seats make it one of the comfiest cars in the world. The coach doors are the most unforgettable features of a Rolls Royce Ghost. 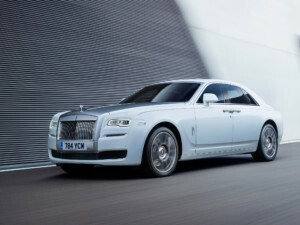 Not only is it incredible in comfort, but the twin-turbocharged V12 engine will leave other cars far behind. 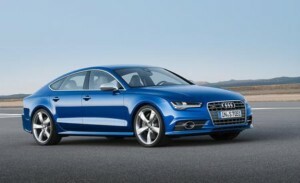 The A7 incorporates the features of the Audi A6 and A8 and is arm’s length ahead of them in style. The Audi A7 has received several awards from AutoWeek Magazine, Esquire Magazine and Automobile Magazine for best car of the year in 2011 and 2012. With the horsepower of 340, A7’s are currently being made and sold at the price of $69,000. The Panamera comes equipped with a 3.6-litre V6 engine with 310 hp. Most of the features of this car are based on the old Porsche 911. Panamera had a bunch of buyers from China, after which the car was made available for sale in the US. The Extra backseat room, and the fact that it is such a long, low and enormous vehicle, makes it stands far above its competition. 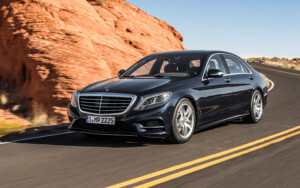 The Benz S-550 involves all the cool features of the Benz S350, its predecessor. The 550 has a much smaller engine and far more fuel efficiency. The V8 uses 30% less fuel than the S550. A wood-leather multifunctional steering wheel, a handcrafted cabin and the LED lighting in the interior makes it a real fine car to drive if you want to arrive in style. 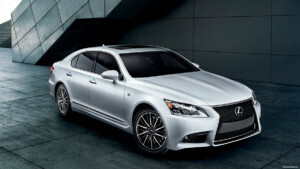 The LS 460 is a Japanese made car, by the only company that was a big hit in the category of luxury cars, Lexus. The LS 600 often makes the 460 look like a child, but rest assured, the 460 is a very powerful vehicle. The gasoline engines are one of the coolest features of this car, which overshadows the limited trunk space. These cars are currently available in the market at a very affordable price of $76,000. The Rapide was just a better version of the Lagonda, its predecessor. 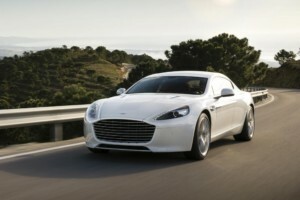 Even though Rapide didn’t meet the expected sales that the company was hoping for, it’s still a pretty sweet car. 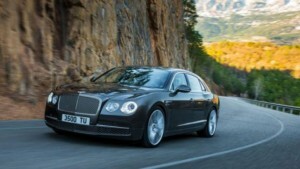 A V12 engine with a top speed of 303 kmph makes it one of the fastest sedans out there. The Rapide was also the first car to use hydrogen fuel with petrol separately or at the same time. Some features are the telescoping steering wheel, Bi-Xenon HID Headlamps, LED Backlights, seats with built-in cooling and heating and satellite radio. 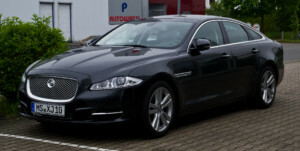 The Jaguar isn’t as used as some of the other cars on our list, but rest assured, the car can speak for itself. A supercharged V8 engine and a 4 Wheel drive are just one of the first things you notice when you look at the brochure. The car has one of the most incredible cabins you could see on any car. Low dashboard and a great number of details make the price tag on the car seem like a bargain. Power and luxury are definitely two of the main things on the maker’s list. The Flying Spur is a car that could have given the Royce Ghost a run for its money if the company had paid a bit more attention to the physical aspects of the car. The redesigning was horrible, the car is looking less and less like a sedan every year and the car looks extremely messy. But, it was still good enough to make our list. The BMW 7 Series was the successor to the BMW E3. The earlier versions were only based on straight 6 engines, but later BMW started producing them with the V8 and the V10. The latest of the Series is a hybrid model which is still in development. 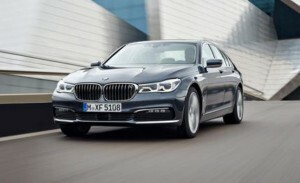 BMW 7 Series is definitely not the best work of BMW, the 7 Series is the reasons that BMW lost a huge amount of buyers to Audi. 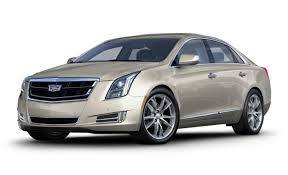 Cadillac has a knack for providing some of the most relaxing cars we have ever seen and the XTS did not disappoint. The XTS can also provide four-wheel drive and an insane amount of storage in the trunk. Even though it is one number 10, the Cadillac is definitely one of the most comfortable cars on our list.